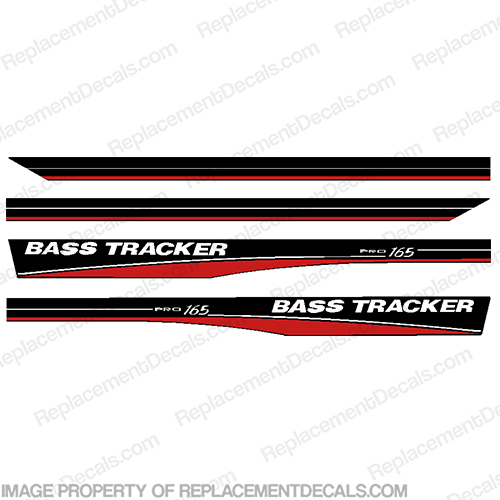 - Bass Tracker Decals for the PRO 165 16.5' tracker boat. - Kit includes 4 pieces. - Both sets of two pieces shown connect to form one 198" (16.5 ft) long stripe for each side, which totals (2) 16.5 ft stripes.